Simple question but as with almost every question about tires, the answer is not a one liner. Stick with this post. It's not short but it really isn't technical and I'm sure every reader will understand the concepts. When looking at why tires fail we need to first exclude the obvious damage caused by external objects i.e. pot holes, curbs, chunks of metal, glass or rock or other trash and junk on the road. Second we'll exclude broken valve bodies, leaky valve cores, valve gaskets, extension hoses, and cracked rims. What's left will be a structural failure which would almost 100 percent of the time will be a detachment of different parts or components of a tire one from the other. Most tires are made up of 20 to 30 different components such as different steels (belts and bead are not the same steel) textiles such as Nylon, Polyester, Rayon, Aramid. Then there are the various different rubber components such as Tread, Sidewall, Innerliner, Steel skim, Wedge, Flippers, Chaffer, base tread, Inserts, and other bits and pieces. Each component is selected for different reasons and contributes both advantages and disadvantages to the total. Each component must "stick" to its neighbors both in the un-cured and cured state. The interface between two different components is weaker than the individual components but it must hold together through millions of cycles over a 200 degree temperature range. All would be just fine if a tire were made completely of inorganic materials such as metals, stone or even ceramics. There are numerous formulas for the strength and fatigue limits for these inorganic materials. The issue with organics (wood, rubber or other materials made from oil such as plastics) is that their strength has a "T" or time function. If you build a bridge of stone, you can calculate the maximum load it can sustain and as long as the structure isn’t changed due to external damage its strength will be the same the day it’s built and 50 years later. If I build a pressure vessel of steel and put 150 psi in it and it doesn’t fail I would have every expectation for it to continue to hold that pressure for decades, again excluding external damage. However, if I build a pressure vessel of organic materials (a tire) it might hold 150 psi the first day or maybe the first few days but at some point it can fail. 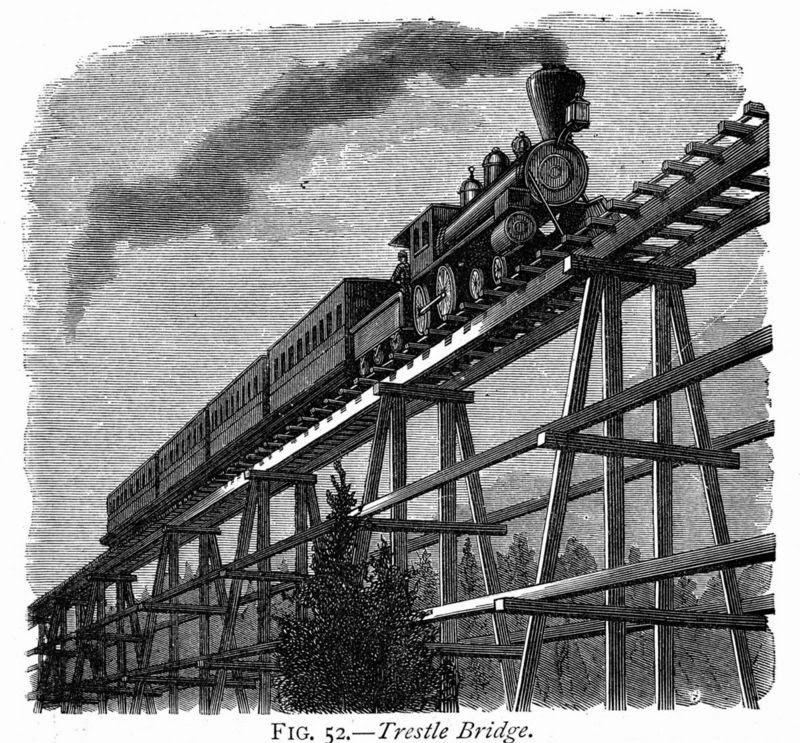 This principle is not something many engineers think of today because they don’t design bridges of wood but 100 or 150 years ago when wood was common they learned that a bridge that was strong enough to hold a railroad train to drive across, it could fail if the train parked on the bridge. I educated some fellow tire engineers about this “T” function when I proved, through lab experiments that it was possible to fail a tire with high pressure above its stated max 18 days after it was initially inflated. The other condition that affects and changes the “T” in the equation is temperature. Organics experience constant change (loss) in properties as the temperature increases. The rate of change (aging) doubles about every 20 degrees of increase in temperature, so it's not easy to calculate or predict the time it will take for an organic structure to fail unless you can control the temperature over time. Bottom line. It’s a combination of temperature (heat) and time that causes tires to fail. A tire that spends its life in Flagstaff, Ariz., could last twice as long as a tire that spent its life in Phoenix if all other operating conditions were identical. As the owner of an RV you can significantly affect one factor and that is the heat generated internal to the tire. When you run fast or overloaded or under-inflated you are running hotter. This means you are speeding up the rate of "aging" of your tires and can expect to see a tire fail before it wears out. Well covering my tires really help in the Northern climbs, and even in winter? I live in NE Ohio and use them all the time. I worked fifteen years in a major car and truck tire manufacturer and I know what it takes from the very beginning of the tire making process until it's ready to sell. There are many chances for some minor exclusion of material or human mistake during the tire building process that could later spell tire failure and disaster. It goes without saying, you get what you pay for is certainly true. Please read reviews from other users and personally inspect every tire before the dealer mounts it to your rim. If it doesn't look right, refuse to have it and demand another tire.